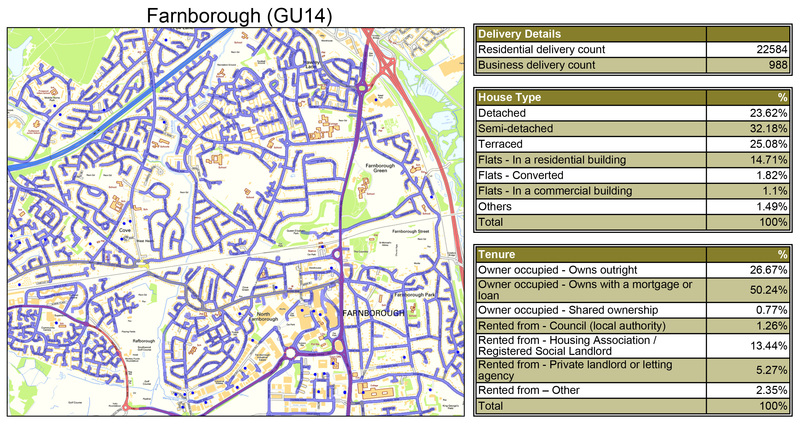 Abracadabra Leaflet Distribution offers cost-effective GPS tracked leaflet distribution Farnborough GU14. We pride ourselves on being a flexible direct mail company enabling you to get the best possible service that suits your requirements. Our free one-to-one consultation with one of our marketing experts will help you decide on a clear way forward for your marketing campaign and then it is just a matter of our team tailoring to your specific requirements. Our in-house design team are always happy to manage all aspects of your design, print and distribution requirements. After all, we want your campaign to be as successful as possible since the more successful you are – the more successful we are! We also offer bespoke mapping solutions to tap into target markets in the most economical way and all of our deliveries are tracked via GPS. In addition to this, we are a proud member of the Leaflet Distribution Organisation (LDO). But don’t just take our word for it – see what our clients have to say about us by visiting our testimonials page! FREE report on the completion of GPS tracked leaflet delivery.It only takes a few seconds to download and you can view the exact route the flyer delivery person took to deliver your leaflets, as seen in the above image. We offer a FREE consultation for your leaflet distribution campaign. We can offer you huge savings on design, print and distribution packages. FREE report of residential deliverables for your targeted area so you will know how many leaflets to be printed. FREE region specific geoplan mapping information, as shown in the example image below. Farnborough is a town in north-east Hampshire, part of the borough of Rushmoor and the Aldershot Urban Area. Farnborough was founded in Saxon times and is best known for its association with aviation. For your direct marketing campaign, Abracadabra Leaflet Distribution Farnborough can cover the majority of regions in postcode GU14. With our leaflet delivery service attracting a repeat business rate of over 78%, you can’t go wrong with our complete service.